Synchronizing a generator to the power system must be done carefully. The speed (frequency) and voltage of the isolated generator must be closely matched, and the rotor angle must be close to the instantaneous power system phase angle prior to closing the generator breaker to connect the isolated generator to the power system. Traditionally, generator control systems include a synchronizing panel. The synchronizing panel includes indications of voltage, angle, and slip that show what adjustments the operator needs to make to the governor and exciter and when it is acceptable for the operator to close the breaker. In many cases, the process is automated using an automatic synchronizer with manual control available as a backup. 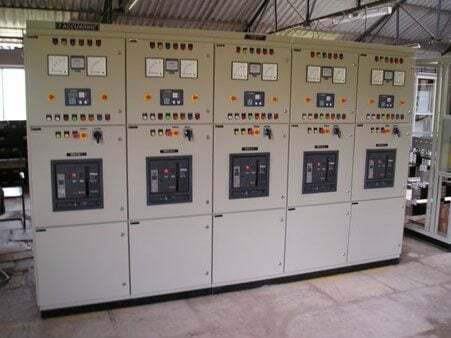 In generating facilities with more than a single generator or installations with multiple synchronizing breakers, complicated synchronizing circuits with many contacts are required to switch the VT and control signals between the operator and automatic controls and the high-voltage equipment. Maintaining proper isolation and safety grounding of sensing and control circuits often requires the use of problem-prone auxiliary relays and VTs, which can reduce the reliability of the system. 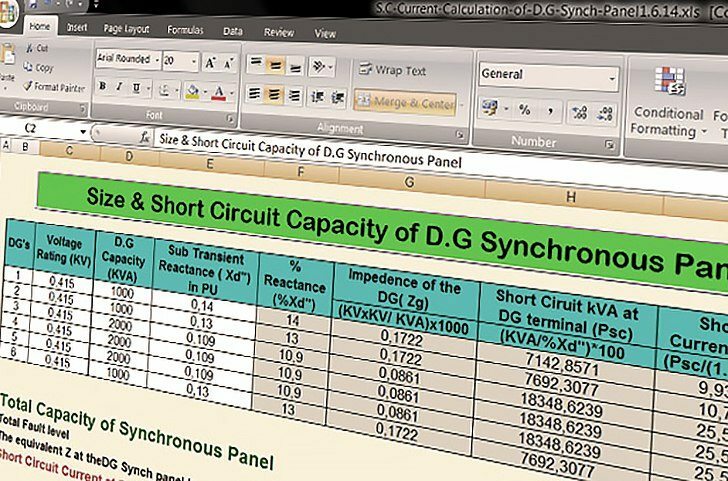 It might be also useful – Spreadsheet for calculating Diesel Generator Size. 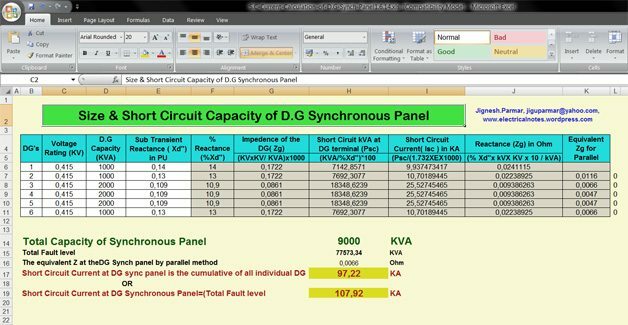 The spreadsheet calculates only the 3 phase faults i.e. symmetrical faults happening within the generator. What about the asymmetrical faults which occurs in the generator. The asymmetrical fault current value is more than the symmetrical faults. Kindly recheck and confirm link of the spreadsheet… it goes to main webpage and not the spreadsheet..
Hi Neri, it’s fixed now, thank you for reporting. We are looking to connect 10, 250kw Micro Gas Turbine genarator together to surply power to the national grid in the U.K.